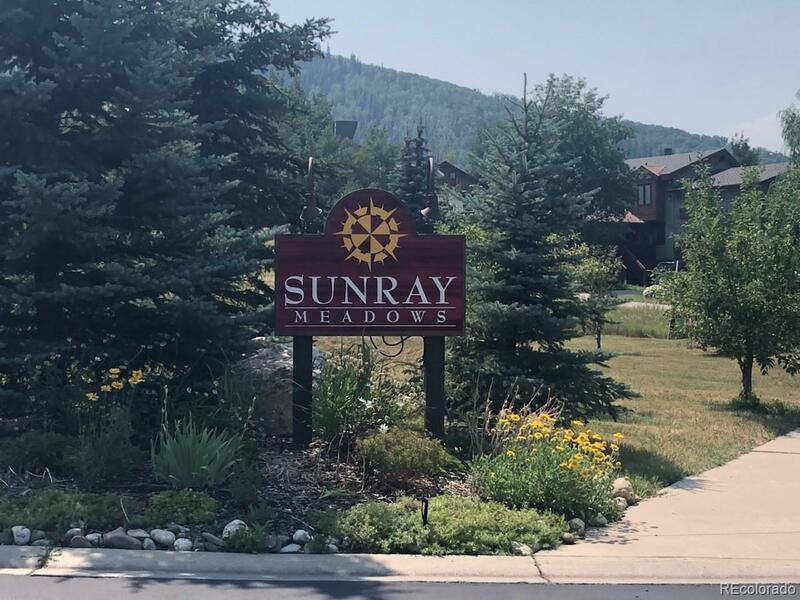 MLS#: 8873466 - Courtesy of Steamboat Real Estate, Inc.
Well cared for large one bedroom, one bathroom patio level condominium with direct access to a one car heated garage. Access is ground level, with no stairs from the front entry. New laminate flooring gives this unit a cozy welcoming feel.The covered patio has views to Emerald Mountain. This unit has lots of storage including storage closets in the large laundry room, a walk in closet in the master, plenty of storage in the garage and a large (approximately 4'x4') storage closet off of the covered patio. Low homeowners dues includes gas heat, hot water, water, Cable TV, trash removal, snow removal, building maintenance and common area grounds maintenance.